According to the Environmental Protection Agency, roughly 20,000 lung cancer fatalities a year are caused by radon. Research shows that nearly 30% of homes screened in seven different states have radon levels above 4 pCi/L. It’s important to learn more about this dangerous gas so that you can effectively protect your family. Radon is a colorless, odorless, radioactive gas that can penetrate through common building materials like paper, leather, and plastic. Formed through the natural breakdown of uranium, it is frequently found in igneous rocks and soil. It may also be in well water. Radon can enter a home through the basement because air in this subterranean space has negative pressure in relation to outdoor air, so air from within the earth is actually drawn into the basement through cracks in the foundation and other spaces. The age of the home has no bearing on the amount of radon that may be drawn into the living space of a basement. Once the radon rises to higher levels in the home, it can typically dissipate due to the increased ventilation. How dangerous radon is for you depends on the amount of radon in your environment, how often you’re in the home, and whether you spend most of your time in the basement. People who smoke cigarettes are more likely to experience health problems because radon and tobacco smoke reinforce each other to magnify the negative effects. The great news is that there are steps homeowners can take to address this potentially dangerous situation. It starts with a simple test to determine if action is needed. A radon removal specialist can then determine the best option for mitigation. While radon cannot be eliminated from the ground beneath a home, there are ways to stop it from entering the structure or ensure that it’s quickly vented out. It’s important to remember that high radon levels have been found in states across the nation. 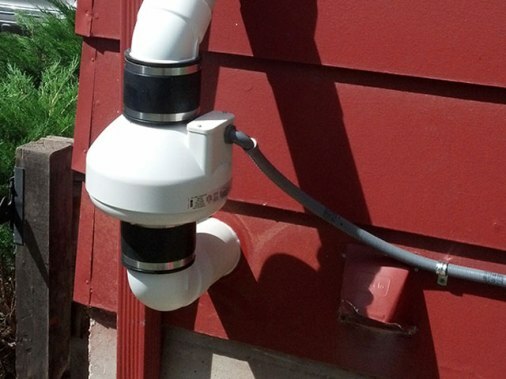 Special suction systems and fans can be used to move the radon directly from the ground to the outdoor environment. It will effectively bypass your home so that you can keep your family safe from the treat. The radon mitigation system may also work to reduce overall humidity levels in a home. Rather than taking chances with the health of your family, have your indoor air tested so that you can make a more informed decision about any treatment system.